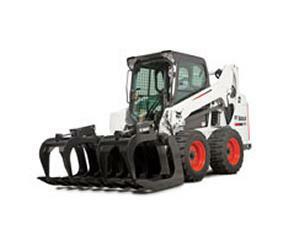 Bobcat® Compact Track Loaders bring you all of Bobcat's expertise in compact equipment, combined with a range of innovative features to help you “outperform the environment” in any weather conditions. No conventional wheeled machines can compete with the high lift capacity and size ratio, together with overall stability and traction. Bobcat Compact Track Loaders are durable, agile and easy to use even where lowest ground pressure or flotation in mud is required. 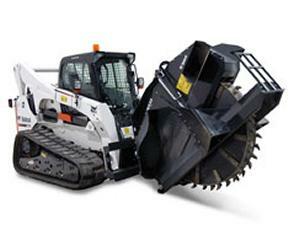 Choose from our wide line-up of Bobcat Compact Track Loaders... there's one ready to help you! Do you have to work in confined areas with gates, doorways, alleys or tight corners? 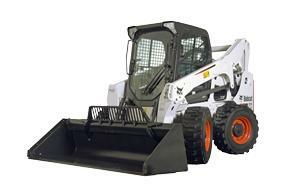 Then the Bobcat Mini Track Loader is your solution. 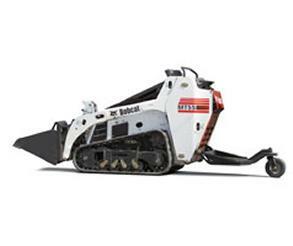 With its mini dimensions and great agility - coupled with surprising traction and lifting abilities, and an impressive lineup of attachments - you'll be able to tackle challenges in tight spaces with ease and speed.